Welcome to the very first Carnival of the Mousies! 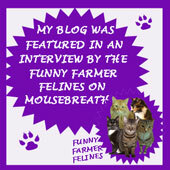 For Mouse Bloggers the Carnival is a chance to discover blogs they might never have heard of, on subjects of all kinds! 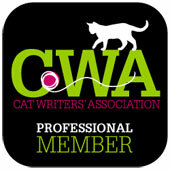 Not to mention that it's a chance to share strategies for getting the upper hand on their mortal enemy the cat! 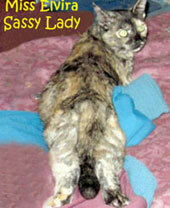 Welcome to Carnival of the Cats #524...The early April Fool's edition! Hee, hee! OK, admit it, how many of you were pawing your head in puzzlement and freaking out over the above? The Carnival of the Cats needs hosts for this year! 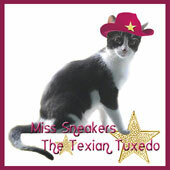 Sneakers the Texian Tuxedo, here. Let's get this show going! 1 and 2. Over at StrangeRanger...The Dad has a cold and turns to the cats for advice and comfort. 3 and 4. Over at Brian's Home...Things get goofy on Friday, and the paws have it today. "The Pet Concierge announces the launch of My Pet Lives On, a new service provided to help pet owners with the loss of a beloved pet while at the same time allowing their pet’s memory to live on." 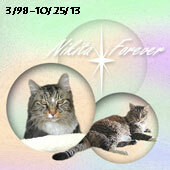 They also share "How People Can Best Help Kittens of Your Community Cats." Sparkle's human met a black cat in San Francisco and, no, it wasn't THAT one, hee, hee! Earthquake, smearthquake, on with the show! 9 thru 11. 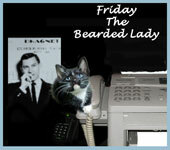 Samantha & Clementine, of Life from a Cat's Perspective are back to blogging! The photos are simply delightful! It's FURever Home Friday and Easy Like Sunday! 14 and 15. Over at Traveling Cats...the images are startling. 16 thru 18. As for us...Big news!!!! Daddy Kiril Writes Letter: Mayor's Office BARCs Back! MOL! (And that's NOT Mouses Out Loud!) Thanks for sharing my posts!